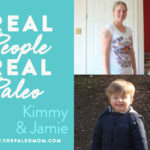 ThePaleoMom.com occasionally invites well-known experts in the health and wellness sphere to provide high-quality exclusive content for our readers, as well as testimonials from followers. 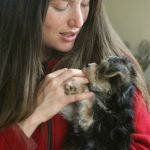 You can learn more about this article's guest contributor in the article itself. My Paleo journey began a little over three years ago. My husband, Kevin, kept coming home telling me about a friend from work who was following a Paleo diet and he wanted to give it a try. At that time, I hadn’t even heard of Paleo and definitely had my own ideas about what it meant to eat a healthy diet. No bread? No ice cream? This did not sound like the diet for me. 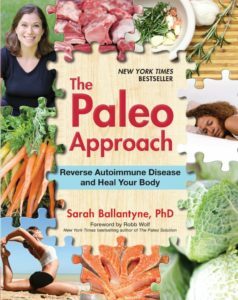 At the hands of my (persistent) husband, though, I spent an afternoon on the couch reading everything I could about what it meant to live a Paleo lifestyle. While it did seem extreme compared to the way I was eating, it all made perfect sense. For years I had been trying, and often failing, to follow a healthy diet. My kitchen was full of cereal, snack bars, low-fat sugar-free yogurt, crackers and other “empty” foods. I was definitely of the mindset that eating fat makes you fat and I avoided it at all costs. I didn’t eat many vegetables and few fruits. When I went out to restaurants I mostly stuck to chicken fingers and french fries (not fat-free, but I really didn’t know what I was doing). I met my husband while we were training for a 150 mile overnight bike ride and we did pick up some healthy habits as we became more and more physically active. I began eating more fresh fruits and vegetables and even a salad now and then, but I also felt that my long runs and bike rides afforded me the chance to splurge on unhealthy foods and a few cold ones. Back to my “aha moment”…I spent hours on the computer that day reading a bunch of Paleo websites and ordered The Paleo Solution and Everyday Paleo before the day was through. It just all clicked with me. Just eat real food and cut out all the processed crap, which I finally realized that day isn’t even food. It completely changed the way I thought about food and what I wanted to put into my body. 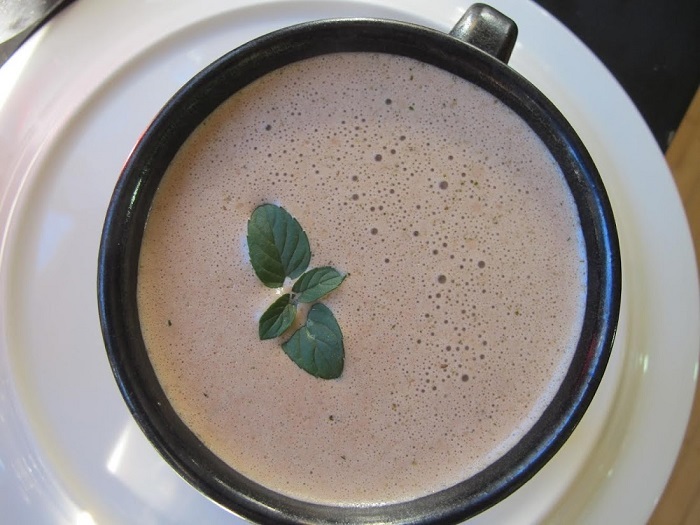 I never before realized the healing properties of food and that the food we eat can have such an impact on our health. We dove right in that very day. We cleaned out our kitchen and made a brand new grocery list full of fresh, Paleo foods. I looked up new recipes on some of the Paleo blogs I had discovered and started cooking! The Paleo Mom’s Paleo Chicken Pad Thai was an early favorite and still is! Neither my husband or myself had any major health issues that brought us to this way of living, but once we started living this lifestyle we noticed many improvements. On the athletic front, we were stronger, had faster race times, more energy and fewer injuries. We were also sleeping better, had fewer digestive issues and lost those pesky few pounds of body fat that were always hanging around. A few months into our journey, I was feeling much more comfortable in the kitchen and with a little more encouragement from my husband (smart guy, huh?) decided to start my blog, What I Gather. I wanted to show others that following a Paleo way of living didn’t mean you had to spend hours in the kitchen. I enjoy sharing simple, flavorful recipes with easy-to-find ingredients. I was having so much fun with the blog and wanted to learn even more about how we can control our health and happiness through the food we eat, so I enrolled at Hawthorn University to earn my master’s degree in Health and Nutrition Education. Since going back to school, we have further refined our diets to include even more nutrient-dense foods and I am making my first batch of bone broth this week! I will graduate in December and want to use what I’ve learned to help others take control of their own health. I love helping people realize that they do have the power to take charge of their own health and vitality and that the first place they can do that is through food and lifestyle. In September of 2012, after one miscarriage and some really messed up cycles (probably due in part to the miscarriage and the ten years I spent taking hormonal birth control), I learned that I was pregnant. Kevin and I were both so excited, even more so because I had the opportunity to feed my baby a nutrient-dense diet throughout my pregnancy and share my trials and tribulations with the world through my blog. I was definitely not immune to the common pregnancy ailments just because of my Paleo diet – I experienced morning sickness, aversions and major cravings! But, I found ways to work through all of them while sticking to my Paleo lifestyle, even if it meant eating the same things day in and day out for a few weeks or keeping a fully stocked snack drawer at work. I even took over most of the refrigerator with guacamole, veggie sticks, organic deli meats and kombucha. Luckily, my midwife was totally on board with my diet and even supported my decision to refuse the oral glucose test for gestational diabetes. They, instead, let me keep a food diary and monitor my blood sugar using a glucometer. After the first two weeks when she saw my diary and my blood sugar levels, she said everything looked great and told me not to worry about tracking my levels anymore. 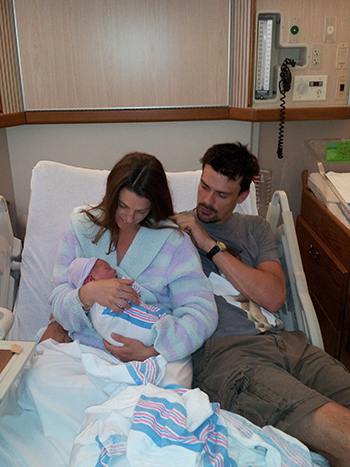 I gave birth to our son, Avery, on June 8, 2013 and now he is our little Paleo baby. At fifteen months his favorite foods are avocado, eggs and bananas, but he eats pretty much the same foods that we do. If we are having salmon and sweet potatoes or a butternut squash frittata, I just cut his portion up into Avery-size pieces and let him go to town. I’ve even been known to give him pickles or steamed green beans to keep him happy while I cook dinner. I am lucky that our breastfeeding relationship has gone smoothly and he is still nursing a few times a day on top of his meals and snacks. Avery is just getting to the age that we are going on more playdates and spending time at different mom and baby playgroups around town and, naturally, there are lots and lots of snacks. 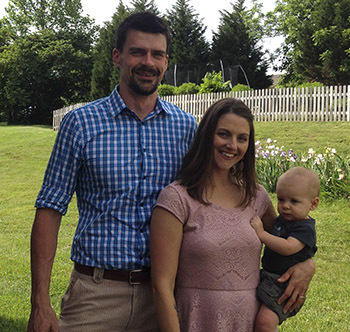 Even before Avery was born, Kevin and I discussed what our comfort level was with Avery eating various foods and how we were going to teach him about healthy eating. It is always hard to know how you will handle certain situations until you are actually faced with them, but our general consensus was that we knew we would be giving up some amount of control when Avery was outside of our home and we were okay with that. Now that I am actually faced with these situations, I have been fairly relaxed, but also try to have a plan in place before we head out. For example, most moms at the playgroups we attend bring snacks for their child, but are more than happy to share (once kids see a yummy treat, they tend to swarm). I always bring Avery his own snack to keep his little hands busy, but if he picks up a pretzel or yogurt-covered raisin I really don’t sweat it. He has been exposed to most of the common allergens at this point with no reaction (thank goodness) so I am not worried about him eating a few things here and there that he wouldn’t normally have at home. Kevin and I have a similar approach for ourselves when we go out to eat or dine with friends and family so it only makes sense that we use the same approach with Avery. In our own home, however, we always have plenty of Paleo snacks that we are happy to share with friends. Some of our favorites are the fruit bars from Trader Joe’s, organic deli meat, chopped apples or grapes, raisins, smoothies and grain-free granola. Because of my blog and social media and some of the nutrition workshops I have taught locally, most of the moms I know are familiar with the way we eat and we even have a few Paleo friends! When the time comes, we will explain to Avery what real food is and teach him the importance of living a healthy lifestyle, but we will also allow him to make his own choices. When it comes to packing his lunch box for school, he will have to make choices from our “food rules”. 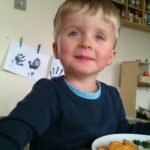 If he wants me to bake him healthier treats for birthday parties or to make him a special dinner to bring to a friend’s pizza party, I will be more than happy to do so. If he wants to eat a piece of birthday cake or a slice of pizza, though, I will allow him to do that, too (barring any allergies or sensitivities). I will talk with him about his choices and ask how he feels when he eats certain foods. What worries me more than Avery coming home from a party with an ice cream-induced sugar rush is my causing him to feel left out or like an outsider if I force him to eat certain things or refuse to let him eat other things. Avery is his own person on his own journey in life and I have to let him make his own decisions. All I can do is inform and educate him and support him on his journey. That is still a bit off into the future, though. 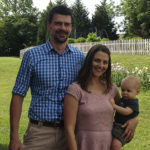 For now, I absolutely love showing Avery off on the blog and sharing tips, tricks and recipes for raising a Paleo baby. I think it is important for women to know that it is possible and even beneficial to follow a Paleo diet during pregnancy and to feed their babies this way, whether by choice or by necessity because of health issues, allergies or food sensitivities. 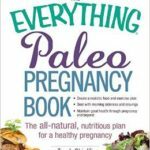 So important, in fact, that when I recently had the opportunity to write a book for the Everything series, The Everything Paleo Pregnancy Book, I jumped at the chance! The book will be out in January 2015 and I can’t wait for the world to see it. I write about everything from which nutrients are most important during pregnancy and how to get them, how to modify your exercise plan for pregnancy, how to deal with common pregnancy ailments and complications, and how to prepare for and recover from labor and delivery. To top it all off, the book has over 100 healthy recipes and a 28-day meal plan. I hope this is only the beginning of my Paleo story and that there are many chapters yet to be written. What I love so much about this way of life is that it isn’t just a “one size fits all” diet. It is about eating foods that make you feel good and avoiding foods that don’t. It is about taking care of yourself through good sleep, stress management physical activity and a little…or a lot…of fun! Strenght in food is my newest co-created service for the AIP community and it’s so much more than just an AIP subscription box. AIP foods + meal plans + lectures + pre-made meals + AIP Certified Coaching, delivered monthly. I loved this article! Thanks Tarah for your inspirational story.